You are high fashion personified wearing the BALDWIN™ Skyler Coat. 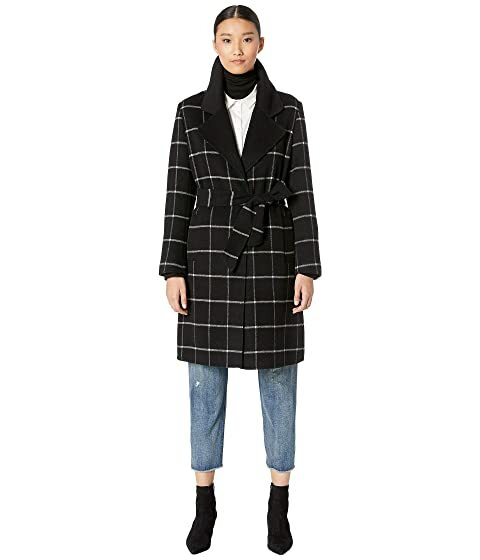 We can't currently find any similar items for the Skyler Coat by BLDWN. Sorry! This is a beautiful coat, but the arms and shoulders are cut very small compared to the body of the coat. It is too snug to comfortably wear anything but a sleeveless top beneath it, pretty much defeating the whole purpose of a cold weather coat. It is going back, unfortunately.